You know you have those friends that you're just totally jealous of because they're so arty and creative and you know it would take a small army to try recreate anything they do but they just seem to so effortlessly create the most beautiful things? Ruth is a perfect example of that person. She's an amazing Silversmith based in Edinburgh and she creates the most stunning unique pieces of jewellery. I wanted to share Ruth's amazing talents and for anyone who is interested in metal work, jewellery making or even starting your own business- Ruth is your gal. First of all tell me the start story- what's the chat and where did it all begin? I studied Silversmithing & Jewellery at The Glasgow School of Art, and once upon a time I had always known I would and wanted to study something creative after school. I had always droooooled over my auntie’s contemporary jewellery collection and design was more my forte SO jewellery design it was to be! I also didn’t know a thing about working with metal and the prospect of being a ‘silversmith’ seemed very, very cool to me. I loved the idea of studying such a traditional skill yet using it in a modern, contemporary way. How did you find your niche in your product making? It definitely came down to family influences and my constant interest in fashion, design and making etc. When at uni, it took me a while to get to grips with the style of work I am now doing. I’m talking like the full 3 years… It wasn’t until 4th year (my final year) that I felt proud and enthusiastic about what I was doing. There is quite a significant contemporary jewellery ‘scene’ / market and part of the reason I’m still creating work is because this aforementioned jewellery world has been so positive about it! What describes your style best? What's your process from start to finish? 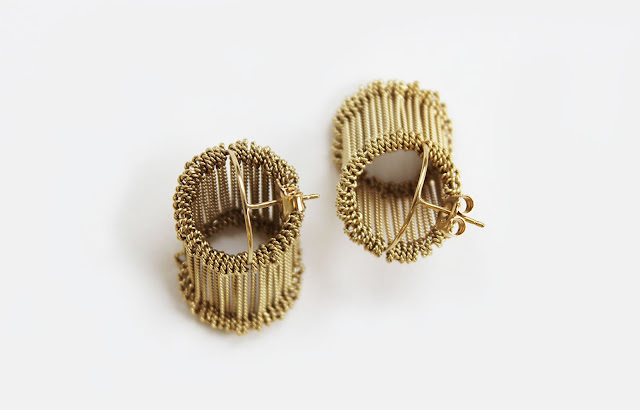 So in regards to my more gallery-based work, I hand twist each wire with an old-fashioned hand drill and attach them individually. I use traditional metalworking methods such as soldering, rolling and hammering for both my gallery work and my ‘commercial’ work. What are the best bits about what you do? Without sounding totally cheesy, I get lots of creative fulfilment out of the gallery work AND the commercial work. 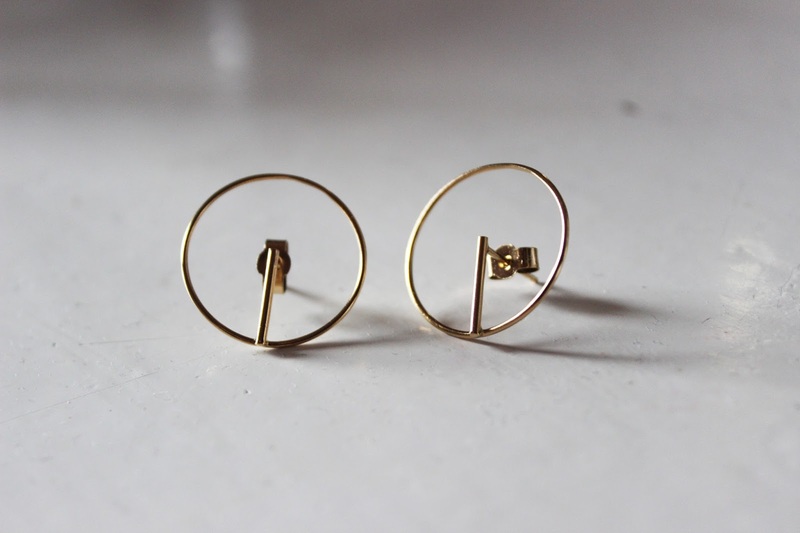 I love seeing people in my designs, whether that is the one-off pieces or, for example, the Circle and Bell Jar earrings, which I make more regularly. They are popular designs and it’s so good to see not only my friends like and wear them, but new customers who I have never met before and find my work through social media etc. 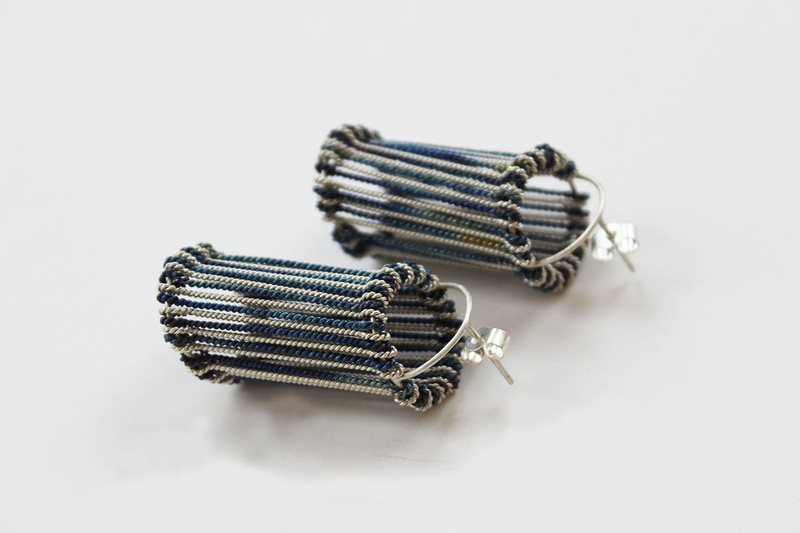 Tell me THE greatest achievements through making jewellery and the coolest thing you’ve made. Kind of what I mentioned before... It is such an achievement being able to make designs that are both unique (or so people have told me) but also very wearable and that people actually want to wear! In terms of the coolest thing I’ve made, I’ll be quite specific and say that would have to be a large-scale neckpiece, which I’ve now made a few times. It consists of lots of twisted wires and can take me about a solid week to make, but its so worth it! What's the jewellery making world like and what are it’s difficulties and opportunities too? In saying that and in regards to the creative industry, it can be easier to set up your own business with jewellery compared to other subjects like textiles etc. Everyone wants jewellery at some point! And a lot of people value handmade, precious metal work. I meet SO many lovely, creative folk in what I do. The Edinburgh / Scotland jewellery scene is full of very talented people, and we get a lot of support up here from companies like Craft Scotland, Crafts Council, Creative Edinburgh and so on. It’s a wee creative hub and I love it. Haha AH the big dream! 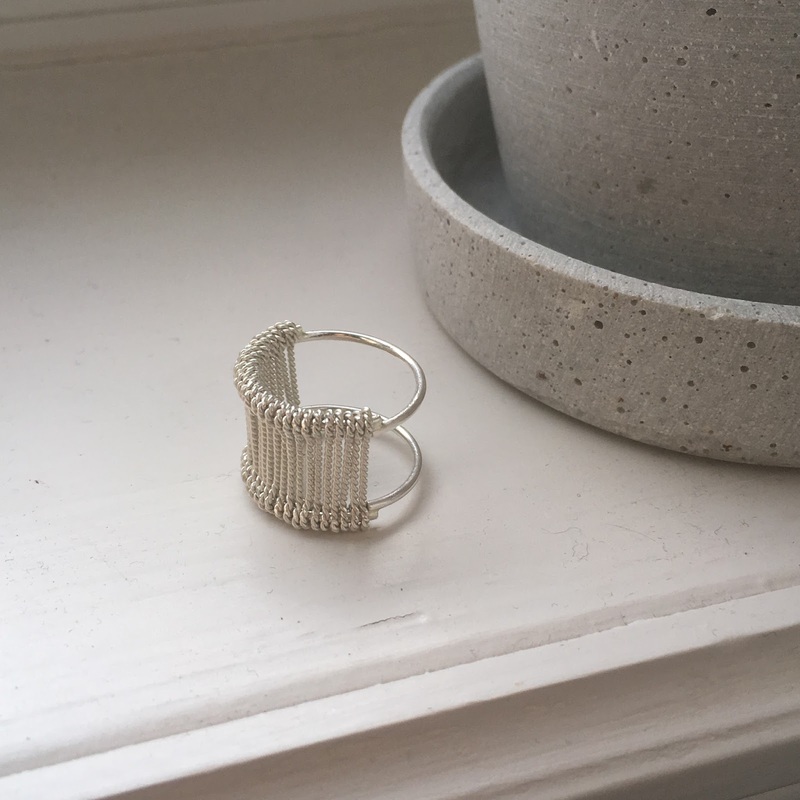 It’s pretty humble but I am currently taking baby steps towards it… I want to be able to be a full time jeweller with two lines, so both gallery work and commercial, easily wearable work. 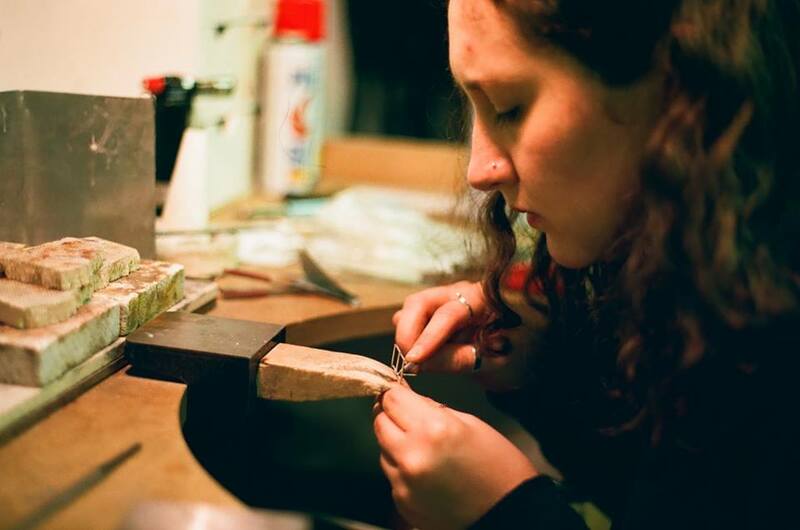 I would love to be able to sustain myself through solely working as a jeweller. I have so many ideas and designs to come and I actually take pleasure in going to work, which I don’t think many people can say! Any advice to other people that are keen beans for making jewellery? Just GO FOR IT. Utilise social media to the highest cause it’s invaluable in gaining publicity and making those connections and sales. Stay true to your style and try to create work you’re proud of and want to sell, because that’ll keep you interested. You CAN have ‘prestige’ AND create commercial work at the same time! Ruth has just started a course with the Crafts Council / Craft Scotland called Hothouse which is teaching about getting started up with her business. She's currently moving into an amazing new studio in Custom Lane – which is the new place to be for designers. They host regular exhibitions and a sweet coffee shop so is totally worth a visit to anyone popping down for a visit! Ruth also has pieces of her jewellery in an exhibition in Glasgow at the Roger Billcliffe Gallery. But is currently making jewellery to order and mainly selling through Instagram and her personal website. If you're interested in any of Ruth's beautiful work, please contact her through Instagram or by e-mail to place any orders. Her online shop is coming this year!